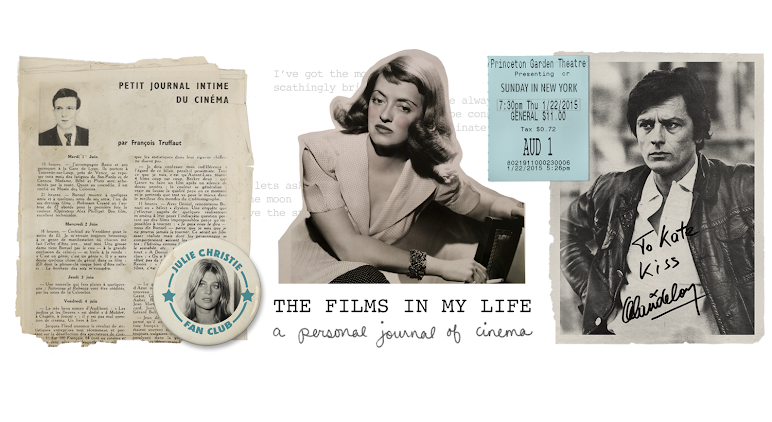 The Films in My Life - a personal journal of cinema: Seeing New York City through a classic film lens, two John Mills movies on the big screen, and a possible Hayley Mills sighting!! Seeing New York City through a classic film lens, two John Mills movies on the big screen, and a possible Hayley Mills sighting!! I've been to New York City dozens of times now, but I'm always there for some kind of art-related event. Whether it's an outdoor art show where I have to spend all day standing at my booth or an award ceremony where I have to be at a gallery at a certain time, and back on the train as soon as it's done -- it seems so silly that I've been there so many times and never actually "seen the city." So I saved up some money and treated my family to a day On the Town. My version of one day in NYC wasn't exactly the same experience that Frank, Gene and Jules had in the 40's sailor flick. No nightclubs, no dates and no dancing (though there was some singing when I was on 42nd street. Come and meet those dancing feeeeet....) While I'd always hoped that a trip to the city would feel like a movie, I found myself looking at everything as it relates to movies instead. Walking into the building actually gave me goosebumps. THIS building is movie history. 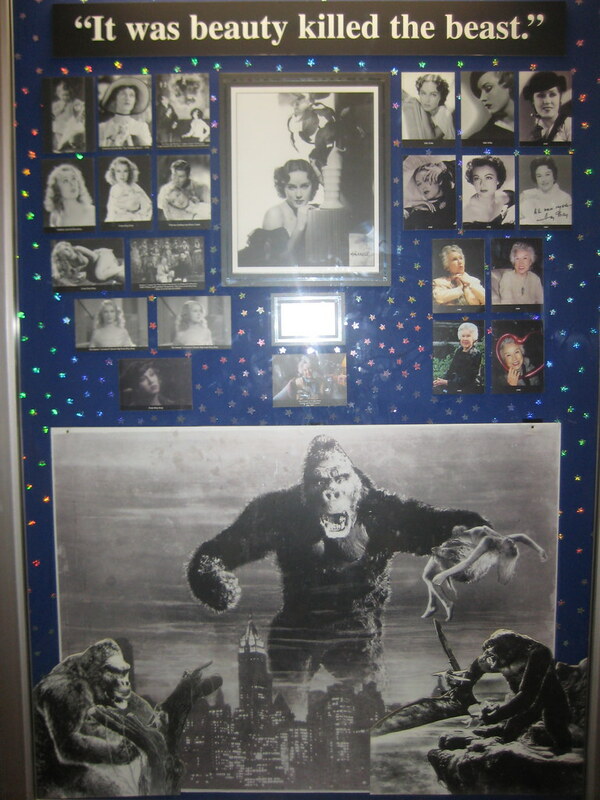 You have to round a corner and really search for it, but there it was: a display case dedicated to King Kong. 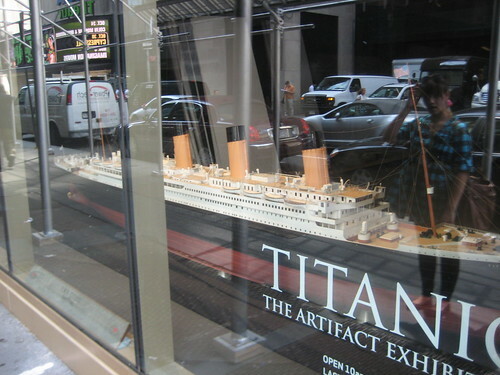 With memorabilia and movie stills, it was a movie lovers dream come true. 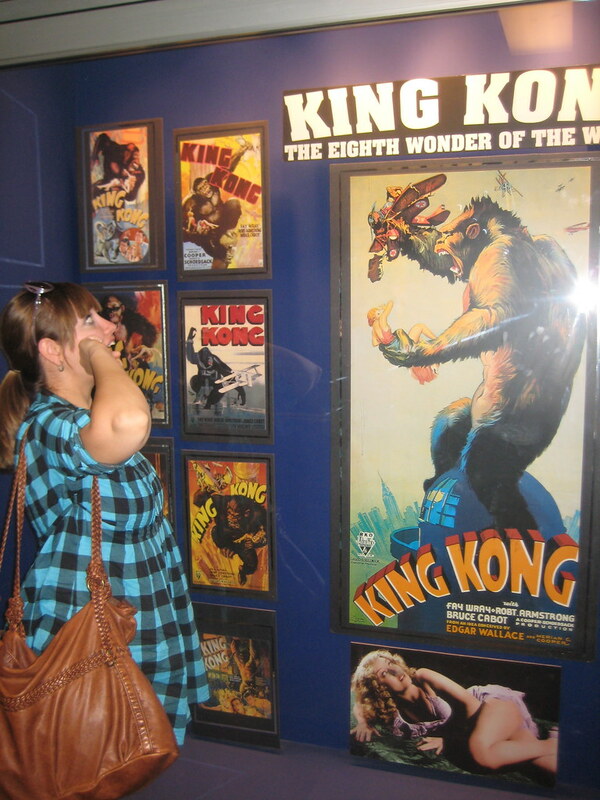 Here I was IN the Empire State Building, looking at King Kong memorabilia. Bliss. They had this touching display dedicated to the lovely Fay Wray. There are pictures ranging from when she was 3 years old to the year she died, and I think she looked just as beautiful when she was in her 90's as when she was gripped in Kong's grasp in the 1930's. For the first time ever, we took a NYC bus! I've always had an aversion to the subway (well, it's more of an aversion to giant rats) so we usually take taxis everywhere we have to go. If you know me, you know that a NYC bus plays a very important role in one of my favorite films. Naturally, this was on my mind the entire ride.. However, it was so bumpy I can completely understand how Jane Fonda ended up falling into Rod Taylor when the bus started to move! Our original plan was to go to The Cloisters, a medieval European art museum (I don't really know how to describe it but I've always thought it sounds really nice and relaxing) but once we were in the city we found out that it would be a TWO HOUR bus ride to the museum!! So instead we decided to go to the Titanic exhibit off of Times Square. We didn't actually go into the exhibit because it was about $26 per ticket (sorry, I'm cheap!) but we DID go to the gift shop. I didn't buy anything (sorry, I'm cheap!) but I did see that they were running the 1990s film on a loop in the shop. Eh-hem, are they not familiar with the Barbara Stanwyck version? Now, the highlight of my trip!! And the real reason I wanted to go to New York City on a Wednesday to begin with... The Film Forum's Brit Noir series. 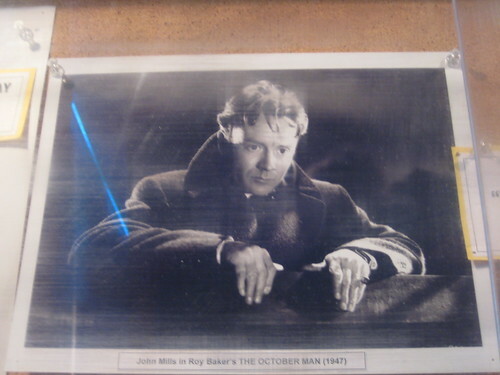 It's been going on all month, but only this Wednesday and Thursday were they showing a John Mills double feature! In retrospect I wish I could have also seen the Dirk Bogarde films (only discovered him on his Summer Under the Stars day last week -- more on this discovery later!) but that would have required more than one trip into the city which, alas, I couldn't afford.. The first film they showed was The October Man. I've seen this one on TCM before, and it's one of my favorite British Films (heck, it's one of my favorite films!) John Mills stars as a man who is haunted by a traumatic accident that killed a young child. Even though I've seen it before, I was still on the edge of my seat during the suspenseful scenes. I really believe John Mills was one of the best actors to ever make a film. He has so much range and emotion, and delivers a line like he thought it himself. My mom and I spent the ten minutes or so before the film started discussing whether or not the woman three rows in front of us was actually Hayley Mills. She looked EXACTLY like her. We both agreed that it was probably her, especially since the film we were watching starred her father. We're probably wrong, and it was probably just a blonde lady who likes classic British films. But believing I saw Hayley Mills is like a kid believing in Santa -- you don't want to know if it's true or not, you just want to believe! 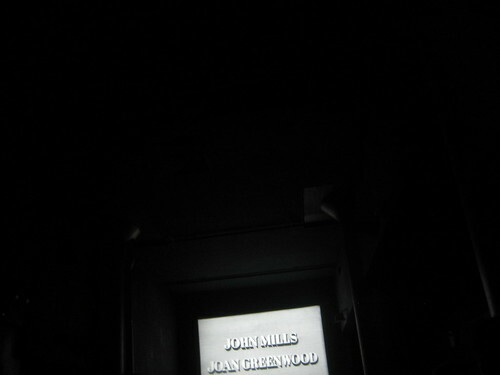 The second film in the double feature was a 1937 film called "The Green Cockatoo." Billed as a "gritty" "sleazy" crime noir, I expected something really rough and tough. Reading the reviews, I had a hard time imagining sweet, proper John Mills as a gangster! But then the film started.. I am SO torn about the genre of this film. I wish so badly that it was on DVD so I could ask all of you to go rent it and help me figure it out! I believe with all my heart that this was actually a gangster spoof, and that all the critics who have reviewed it thus far have been overlooking a real comedic gem. When it first started, I kept turning to my dad and asking "do you think it's supposed to be funny?" -- I was so afraid that I was laughing at a film that was intended to be serious. I would hate to do that -- I think it's insulting. But it just had to be a spoof. It had to. 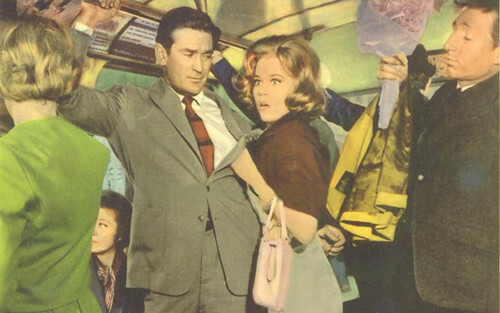 It opens with a young woman from a small town on a train to London. A police officer is trying to figure out if a missing suitcase belongs to the young woman. "What's in the suitcase?" he asks. "Some clothes and a photograph." He opens it up and finds some clothes and a photograph -- "What's the photo of?" "My brother standing in front of a tree." "What kind of tree?" "Elm." After that matter is settled, she gets into a strange conversation with a "philosopher" who warns her that London is just full of gangsters, dangerous men and loose women. His performance is so over the top and outrageous, it just couldn't have been played straight. You can almost see it in his eyes while he's acting -- he knows it's a joke. Naturally the first person she meets in London is a gambler who just got in a knife fight. John Mills is the gambler's good brother (good, but he still doesn't like those coppers) Mills is a song and dance man in a sleazy nightclub called The Green Cockatoo. Seriously, he's a song and dance man. Mills was actually quite the hoofer! You should see him tap dance! One of the plot twists involves the police looking for the innocent young girl from the small town. Without knowing a thing about her, Mills decides to help her trick the police by passing her off as his new singing partner. But she can't sing. That's not my opinion-- it's John Mills'. Throughout the film he insists "you can do anything you want.. just don't sing" or "I don't care what you did, as long as you never sing again"
Along the way they come across a drunken cabbie who drives wildly around the streets of London, two cockney's discussing how awful a street vendor's coffee is (after John Mills had just remarked how great it was), a night club called "The Ham and Eggs Club" and a poetic butler in pajamas. At one point, the young woman offers a recitation of poetry and John Mills tries to top it with an old sailor limerick! Mills stares at the girl and says "you've got blue eyes. I like blue eyes. And brown hair. You look like you're about 5' 2", 70 [form of weight measurement I forget] Yeah, you've got brown hair. I don't like any of those dizzy blonde dames"
Now let me explain why I'm positive this was a spoof, besides all plot elements that seem to prove my point. John Mills was a fantastic actor. Even in his tiny early roles, like in Goodbye Mr. Chips, there is evidence of an enormous talent. I do not believe he would give this performance (it's really a bad Cagney impersonation) unless he meant it as a comedic role. The Brits have a different sense of humor than Americans. Americans like humor spelled out for them, not in the form of a vague spoof. I think this accounts for most American reviewers thinking of this film as a straight crime drama, and not a spoof. They just don't see the intentional humor. (Ham and Eggs Club?! Come on!) There were so many times in this film when the actors looked at each other like "did you really just say that?!" it just had to be done on purpose. If you ever get a chance to see this (or if you have already seen it!) please e-mail me or post in the comments. I'd love to hear other opinions about this movie! My mom, dad and brother all thought independently while watching this that it was a spoof. But all reviews online seem to indicate otherwise. If I'm right, and this really was a spoof, it is one of the best films ever made. I had so much fun watching this that I really hope with all my heart that I'm right! I'm glad you had such a good day! That movie does sound like a spoof (and a very funny one at that). Sorry about that Kate - just had to say it. Do you ride the train from your house or drive to get to NYC? 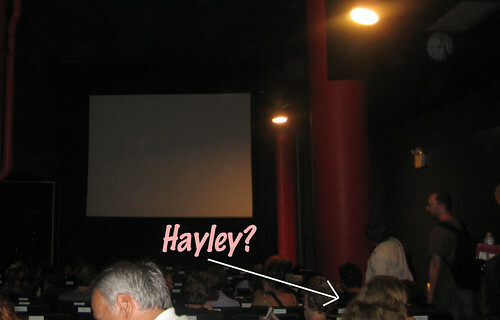 Congratulations on the Hayley sighting! I'd believe it was her, especially since this film is not on DVD. She wanted to see her father! From your description, I feel like I've seen The Green Cockatoo. It might have been a while ago, but I'm pretty sure I've seen it. I remember thinking it was strange for a British film. I can't remember much more about - darn, darn! I'll have a look and see if I still have it. I bet your assessment is right - the Brits have a different, much subtler sense of humor than we do (especially back in the 30's-40's). It would make total sense for them to want to mock our gangster-glorifying crime flicks. Imagine how much the Brits must have resented them, especially since they all worked so hard to produce quality films. The American crime dramas must have seemed like sacrilege to them! Great post - I love all the photos! 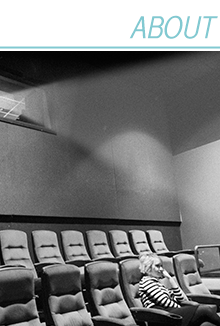 The Film Forum! Marvelous you got to go. Everytime I look at their schedule there seems to be something included I would love to see. Unfortunately, I live way on the other side of the country. I'm glad you had fun in NY. I hope that TCM shows those two movies soon, I'd love to check them out. That is really cool about the Hayley Mills sighting! Sounds like you had a great time. Part of what I love about New York- you can travel in time just by walking. The Cloisters is wonderful but it's a long ride, at the northern end. I drove there this winter, it's a lovely trip. 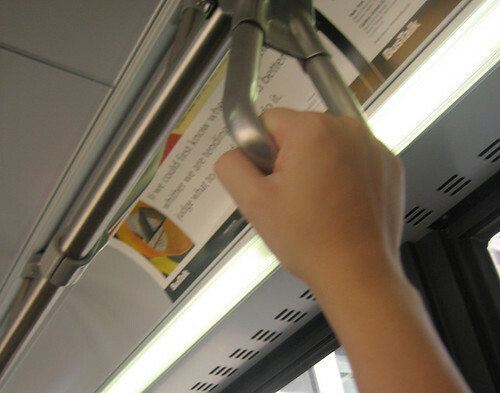 Buses are your best bet in summer- the subway stations are revoltingly humid and the micturations of those too lazy to find a scarce public restroom make the air rather unpleasant. I'm going to walk Greenwich Village with Sarah once the weather cools. My favorite part of town with the old buildings, and the ability to lose yourself in time, if you go down the right street. I'm sorry Casey, but it's just no use! Washingtonians always win! It's a fact of life! Anyway, it's nice to hear you had a good time! Sounds wonderful! 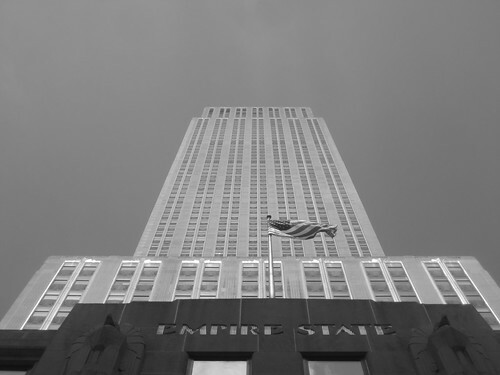 I thoroughly enjoyed all your photos (love that they have displays in the Empire State Building) and the info on the John Mills films. I'm excited that SUNDAY IN NEW YORK will be on TCM in November, I've been waiting for it!! Wonderful to think it might have been Hayley Mills! 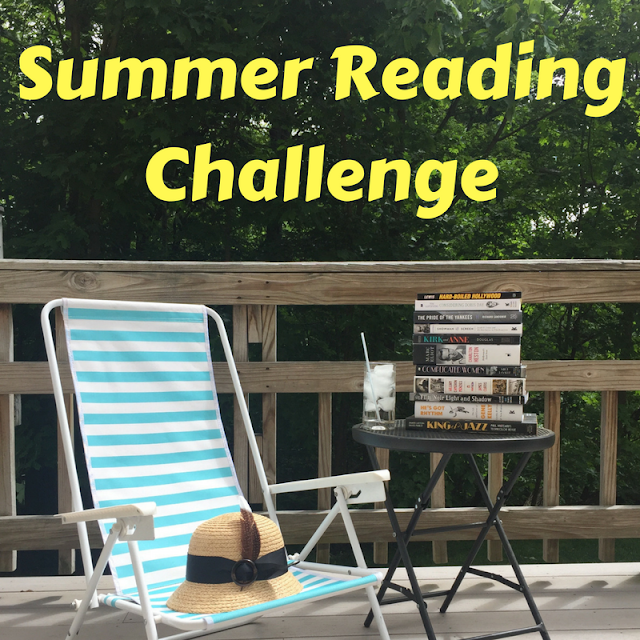 A great blog! Sounds like you had a great trip. I'll be back in NYC in October, can't wait! 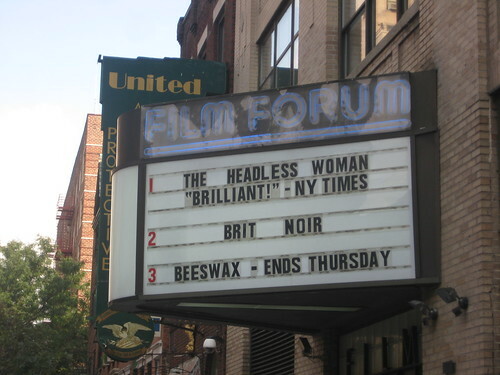 And, coincidently, I JUST blogged about the Film Forum!